or how to integrate ancient wisdom with new approaches. In the last few months, I had the unique opportunity to see one of my – admittedly quite outside the box – ideas spark to life. 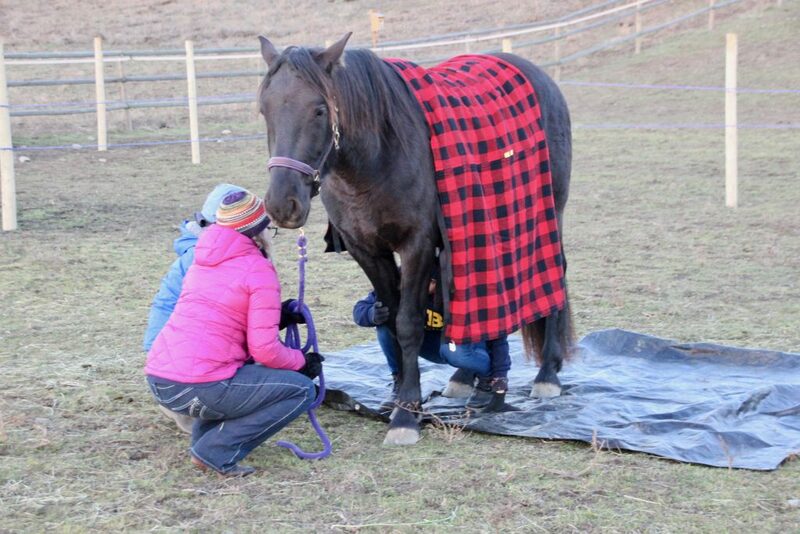 Credit for the first sparks being ignited belongs to Linda Kohanov, a great thinker and writer in the world of horse-assisted education. With her book on the 5 Roles of the Master Herder, she put together many of the loose ends I had been thinking about for a while and I absolutely love the theory she has put together in this latest book. Her thoughts on how the herding of animals can be transferred to good leadership skills in humans might be surprising to someone who is not used to being with animals, but it is not a new consideration by any means. For me, as a horse-assisted Life-Coach and a Christian, her theory carries a special beauty and meaning, as we have heard it all before: God uses the image of the Good Shepherd in the Bible over and over again: to show His love for His people, the sheep, to draw a picture of the fierceness of His dedication, to explain what makes a good leader and what doesn’t. It is the image of leader we all want to be led by and the leader we wish we all could be – no matter whether you believe in Jesus Christ as our Good Shepherd or not. The Bible uses the image of the shepherd because it was an image people were incredibly familiar with in their geography and times. And while we still like and appreciate the images, it is not something that has practical meaning for us nowadays. We don’t really know what the daily life of a shepherd or a sheep look like, we don’t know what skills are necessary and we certainly can’t go and practice shepherding as a training for life. And this – curtain opens, tadaah – is where my horses and my work come in! While you might not be able to practice your herding skills with sheep any longer, you can observe and practice with horses. So, with the background knowledge of these two books, the Bible and Kohanov’s 5 Roles and a couple others, we (that is my husband Todd and I) have developed a few workshops, each a bit different and geared towards the specific groups we had coming out to work with us. Todd has a PhD in Theology and currently works as a Campus Minister here in Kelowna and therefore acted as my expert consultant in matters of biblical interpretation and as a natural connection to the groups we hosted. One group was a groups of Elders from a nearby church, a group entrusted with the leadership of that congregation by its members and interested in working on team-building and their vision. The second group was a student group focusing on bringing their Christian faith to their campus and the third was a group of Christian medical students and professors who wanted to focus on their presence and communication while being with patients. 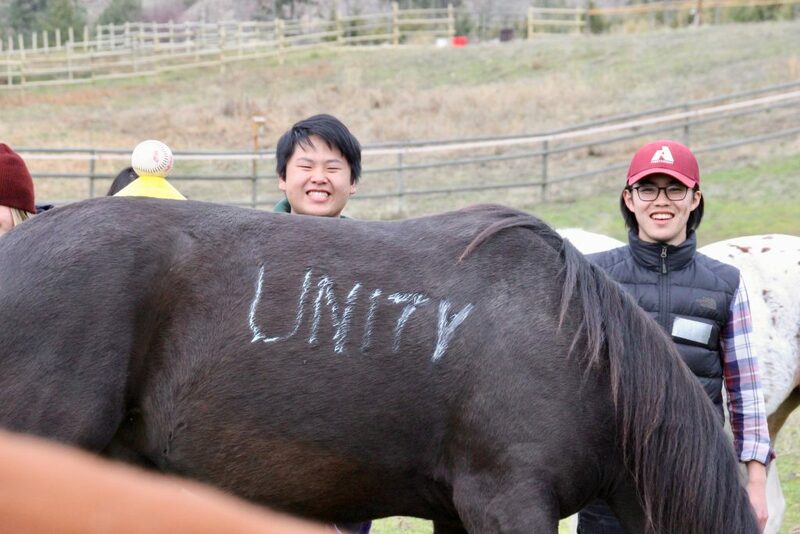 Each of the groups spent very special and unique hours with us and the four horses and we all really enjoyed the opportunity to explore our faith and our skillset from such a different angle. If you think this is a workshop that would be fitting for you and your colleagues, employees, friends, please contact me to find out more – I would love to hear from you and explore how we can specify this workshop exactly to you or your group. Thank you so very much for a fabulous experience with your beautiful horses. I arrived to meet you the day before and instantly felt comfortable because of your calm, quiet and confident manner (explanation from Annika: this member of the group had mentioned a fear of horses, so I invited her to meet me and the horses shortly before the actual workshop, so she wouldn’t feel overwhelmed in the group situation). When I met the horses I felt that I was accepted by them and felt no fear. Because I had been very afraid of horses since I was a young girl, this felt like a miracle!! The next day when our group was working with you, I was excited to be touching horses, feeding one by hand and encouraging them to follow me. What an amazing experience that was for me. I was very impressed to see you working with the horses, getting them to follow your commands without touching them or having a lead for them. You spoke nicely to them. I was impressed that you were aware of how each of us was responding and acting around the horses, even our body language. I learned many things that day. I learned that horses are very intelligent and that they respond to kindness and also leadership. It was an amazing experience for me. Our group discussions were reflective and interesting. Thank you for a wonderful day!!! O my gosh, that day was ridiculously, extraordinarily good. I couldn’t be more pleased. It was hard and peaceful and wildly constructive. I praise God. I am so grateful for you and Todd and your children. Yes, much more that could be explored and likely more for us to debrief! But I’m going to return my attention to preparations for this morning’s worship. THANK YOU!!! Dang, what an honour to learn alongside of you and your horses. It is profound for me. You have such an amazing gift and I am so glad you are using it. The equestrian shepherding workshop was unlike anything I have done before and was more than I expected. 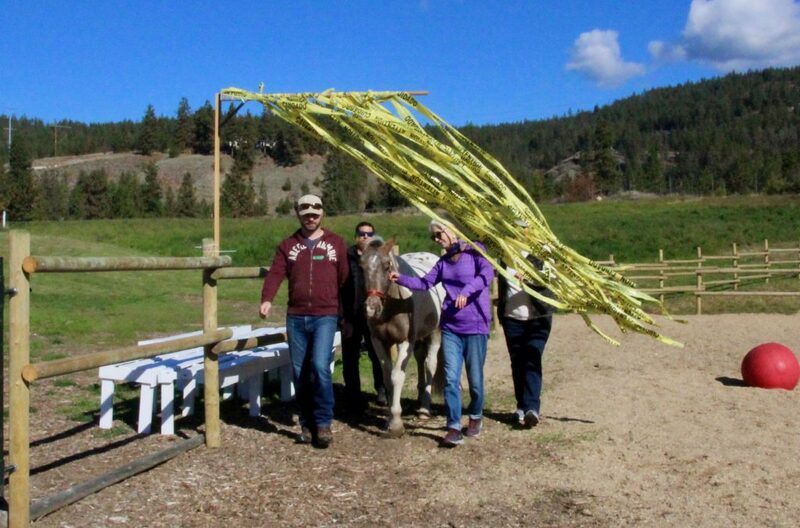 Using the horses both as a model of the shepherd and of the sheep, Todd and Annika guided our group through various exercises to demonstrate the various essential aspects of leading/shepherding. 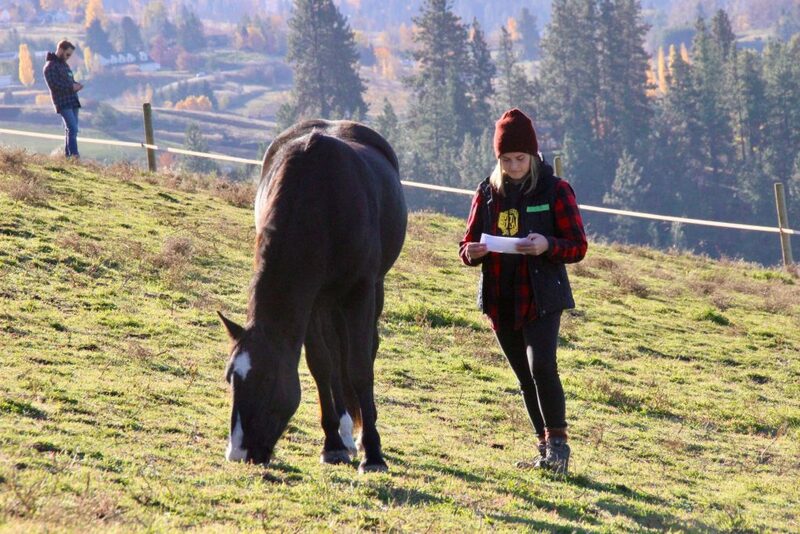 Not only did I get past my fear of horses, but the experience strengthened my awareness of the importance of observation and being attentive to the environment in my future medical practice. During the workshop I was challenged to listen in a new way. In medical school, we are trained on how to take a proper history of the presenting illness, gather past medical information, and observe the patient’s current mental status, but we aren’t trained on how to LISTEN to patients beyond their words. We are trained to create a list of possible diagnosis as soon as we hear the chief complaint, and then use our questions to narrow down the differential diagnosis before we move onto the physical exam. Because of this, we need to be constantly analyzing, sorting, and rearranging in our minds as we ask each question, rather than fully listening to our patient beyond the words they are saying. We don’t learn how to just sit with our patients, how to read their body language, or how to listen to them on a physical level. 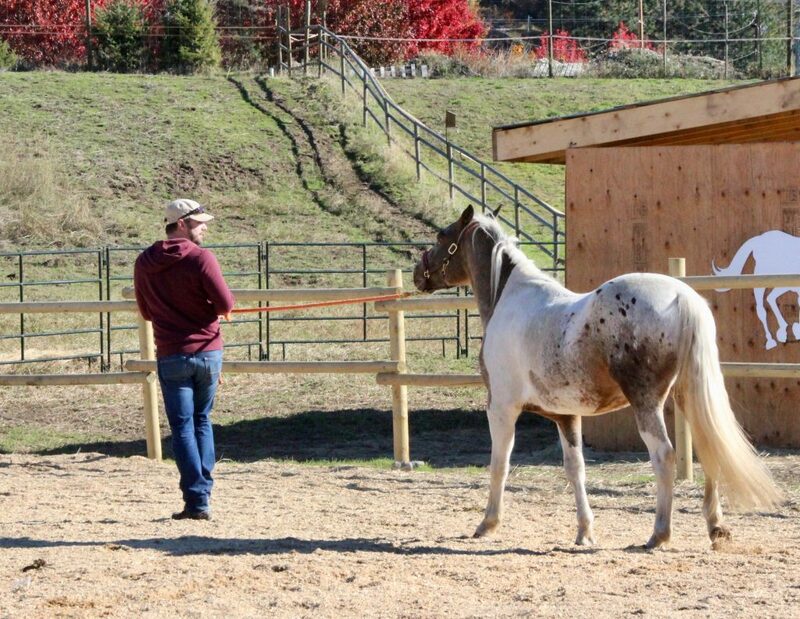 Working with the horses really challenged me to listen in a different way and I hope this experience will help me to listen to my future patients in a new way. talking about a calming presence – it always has to go both ways!